High tea as most Americans think of it (a dainty meal of tea, scones, finger sandwiches and sweets) is more correctly known as "afternoon tea." Regardless of what you prefer to call this afternoon meal of tea and snacks, I think you'll find that these scone recipes, finger sandwich recipes and tea pairings are useful in helping you throw your own tea party. Beyond these classics, there are many scone recipes to explore in this scone recipe collection. If you're new to making scones, you might also want to check out this illustrated guide to making scones and these tips for making scones. 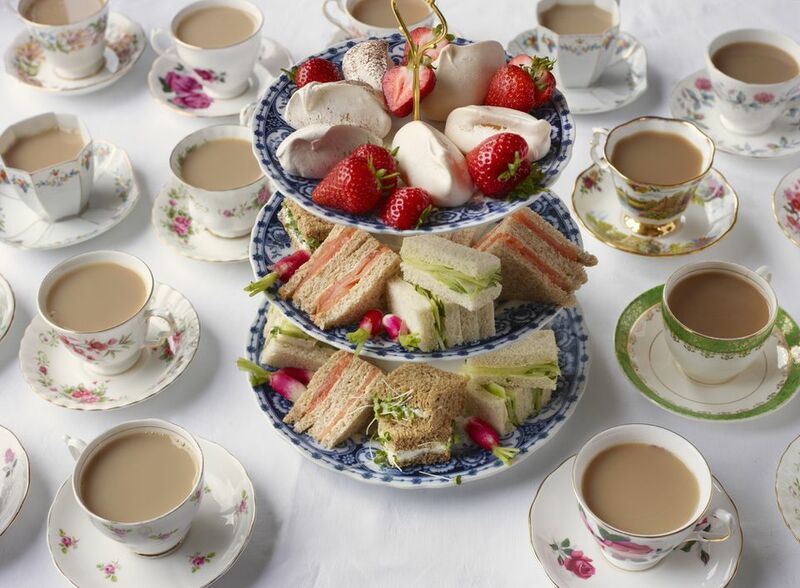 Popular afternoon tea finger sandwich recipes include cucumber tea sandwiches, smoked salmon tea sandwiches and watercress-egg salad tea sandwiches. For more tea sandwich recipes, check out this finger sandwich recipe collection. There are many more sweets you can serve at an afternoon tea party. This collection of Madeleine recipes includes pairing ideas, but if you don't feel up to the challenge of baking Madeleines, there are plenty of other recipes for afternoon tea sweets to choose from. As you plan your tea menu, don't forget to select a few teas to pair with afternoon tea. If you'd like tips on tea brewing, read up on tea brewing temperatures and tea brewing times.